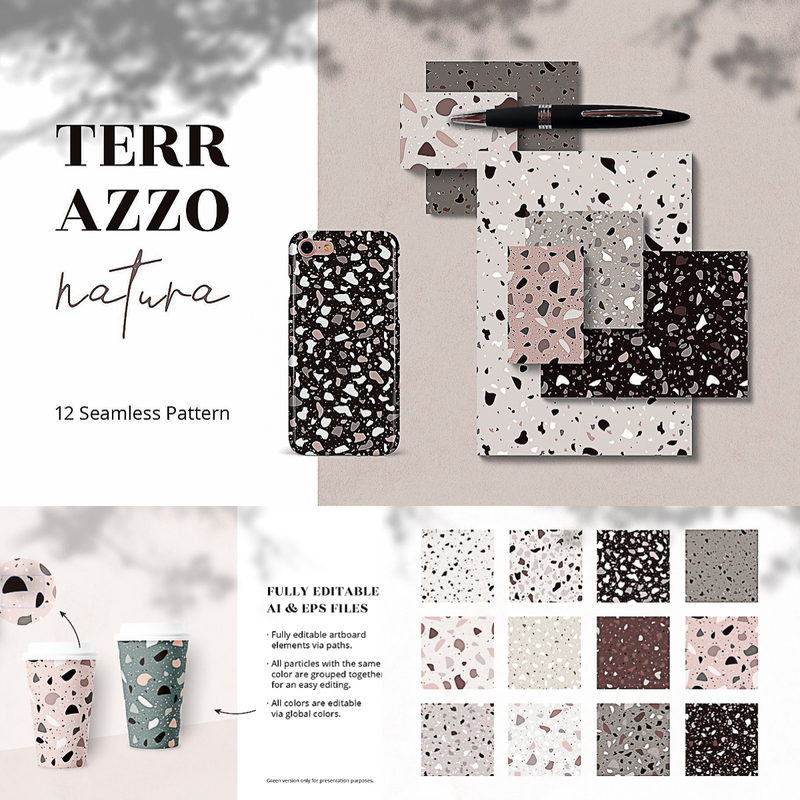 This gorgeous set of 12 seamless patterns is inspired by terrazzo structure with natural colors. 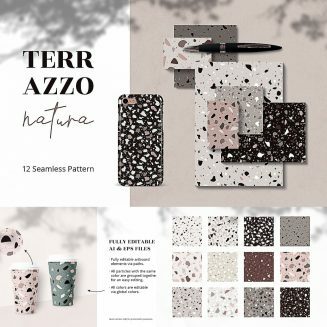 The set contains 6 individual designs, each as light and dark version and always beautiful matching colors, so you can build a great design concept with these patterns. Of course all colors are very easy to change with global colors in Illustrator, if you like. This set is perfect for printing projects, stationary designs, textiles and also great as backgrounds for websites, blog and social media. File format: .otf, .ttf for Photoshop, Illustrator or other software. Tags: abstract, backgrounds, marble, pattern, seamless pattern, stone, terazzo, tile, tileable.